The Morphing feature matches similar shapes in two drawings. These are the source and destination drawings. 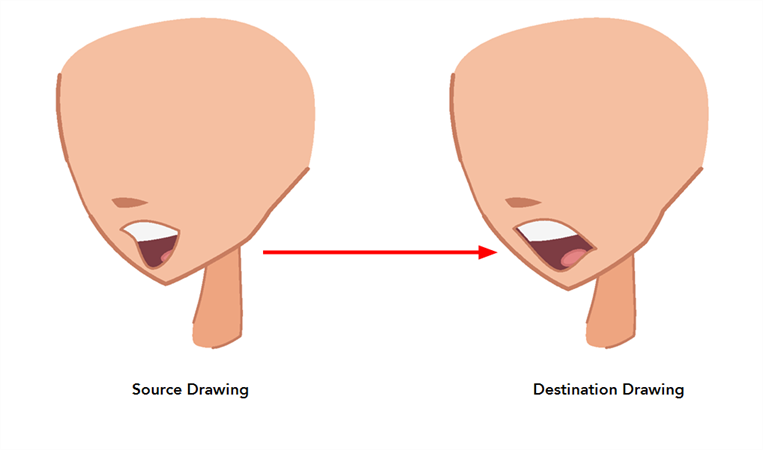 Animate evaluates the source's shape properties and matches them to the most similar one in the destination drawing. Morphing works between similar shapes, which are drawings that have the same palette, colours and number of shapes. You can even change a rabbit into an elephant, as long as source and destination keep the same colours and number of shapes.